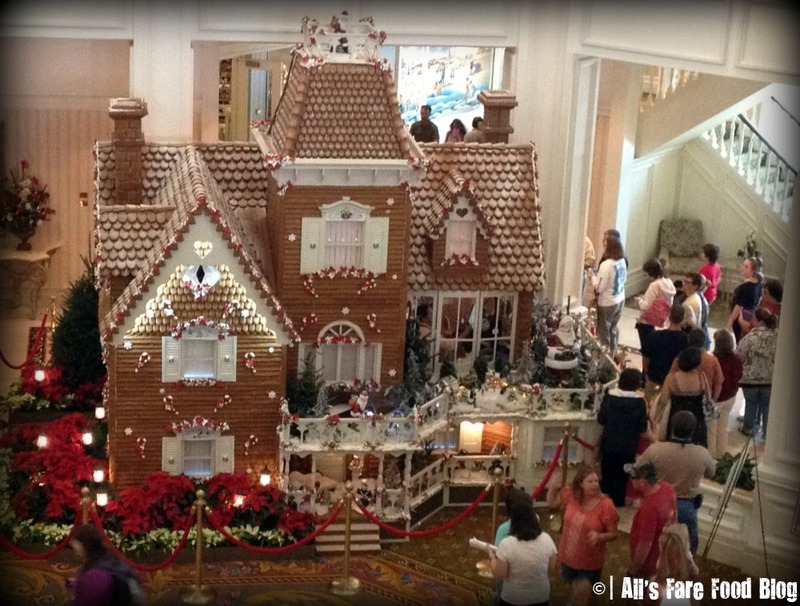 Walt Disney World’s signature gingerbread house at the Grand Floridian Resort and Spa is a towering achievement. It’s constructed with more than 1,000 pounds of honey, 600 pounds of powdered sugar, 800 pounds of flour, and tons of Pixie Dust and creativity. Let’s take a moment – one week from Christmas Day – to take a needed breather from all the wrapping presents, signing cards and other hecticness to look inside this marvel from some of the most talented bakers in the country, if not the world. To get the best perspective of the massiveness of the structure, head to the lobby’s second floor. 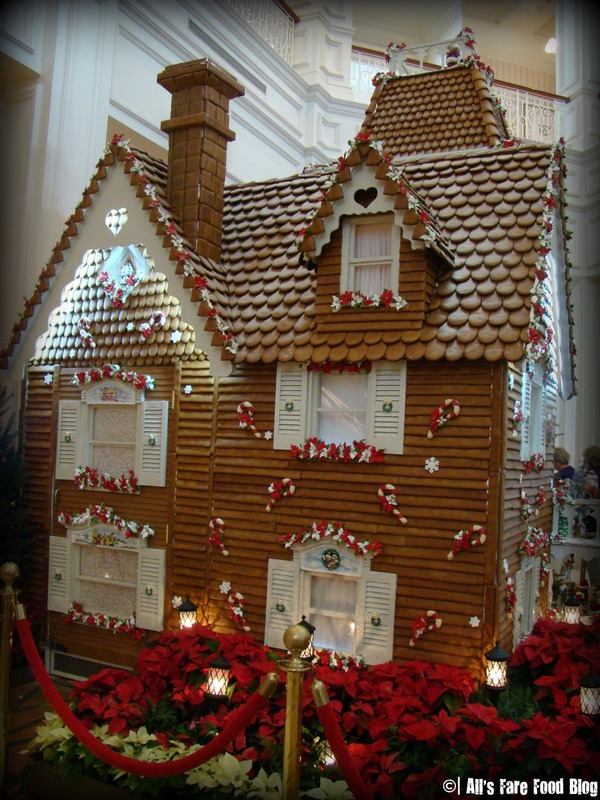 Just think about it: This is a gingerbread house that has a flower garden of fresh poinsettia. It has a larger “yard” than my townhouse! 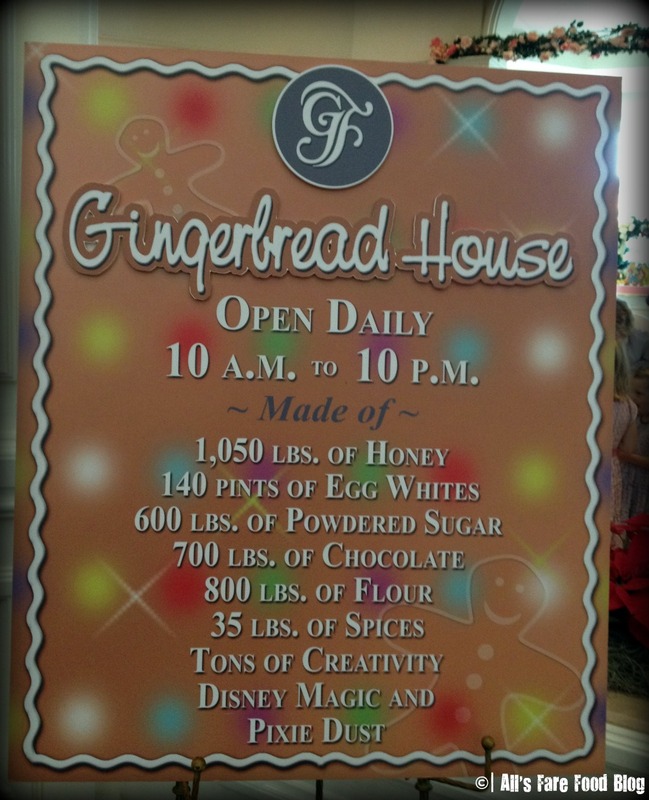 This sign (above) advertises for the gingerbread house over at the Polynesian Resort, one of the few Disney Deluxe resorts without a gingerbread display. When you move over closer to the house on the Grand Floridian’s second floor, you can take a more detailed look at all the attention that was paid to putting together the building. Powdered sugar snow dusts the shingles; Santa has hidden some presents near the roof; plus, two chimneys. 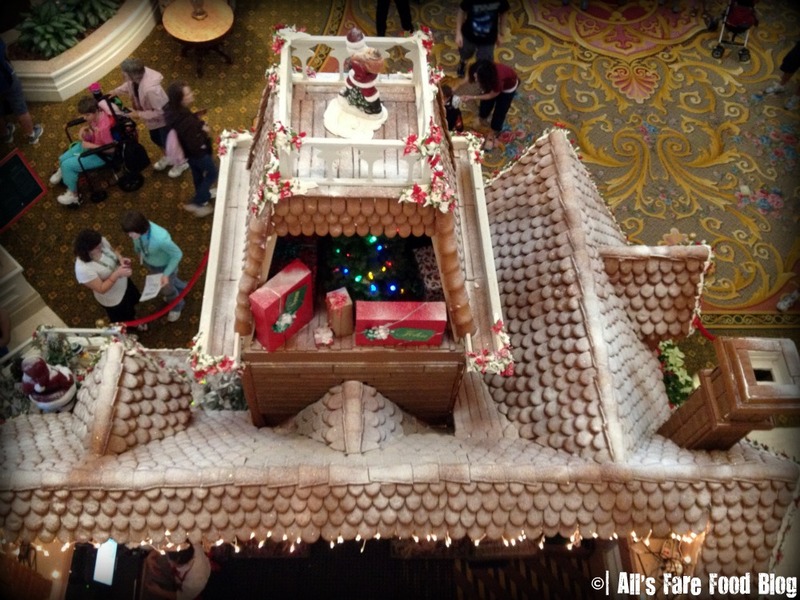 At another angle from the top, you can see those gifts from Santa a little better. Near the presents, I think you also can see the detail of the house’s own Christmas tree. 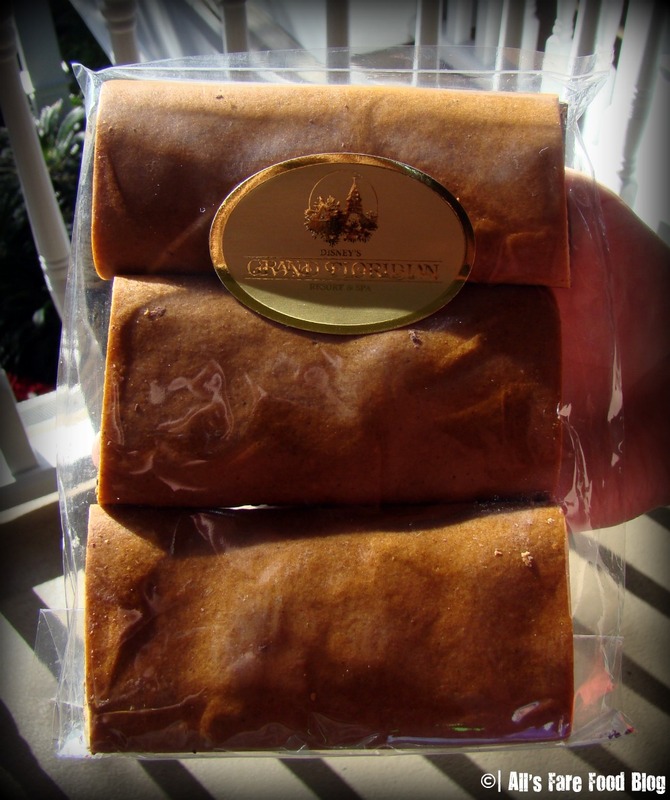 Because the house is SO massive, you can purchase some gingerbread goodies from a little retail store that resides inside it. YES! It has its own store! Take a look above at some of the items you can get like shingles, cookies, truffles, lollipops and more. I have to say this is the first gingerbread house I have seen that has electricity! Thomas Edison would be so proud! From this perspective, it’s a lot easier to see just how large the house is. I stand about 5-foot-3 and it towers over me! 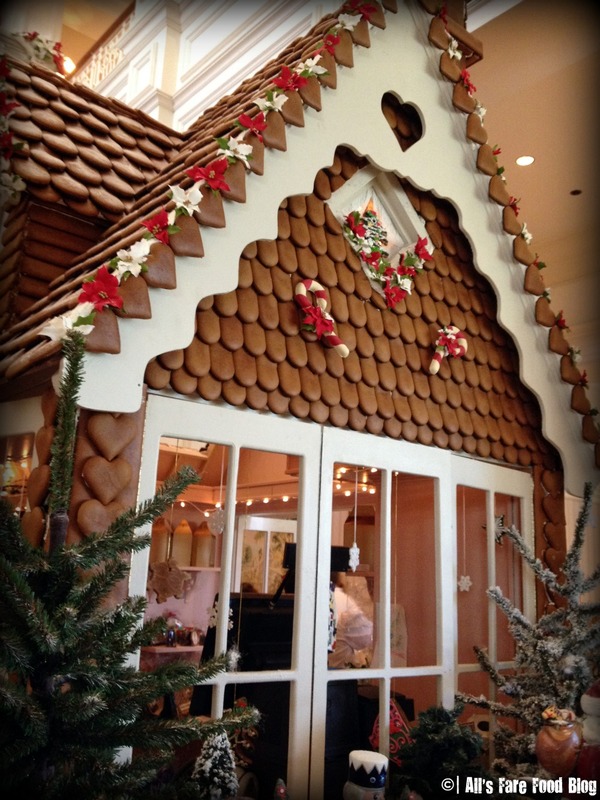 Here’s a look at some of the goodies you can purchase – like these chocolate-covered gingerbread shingles. The Disney gingerbread is soft and chewy. 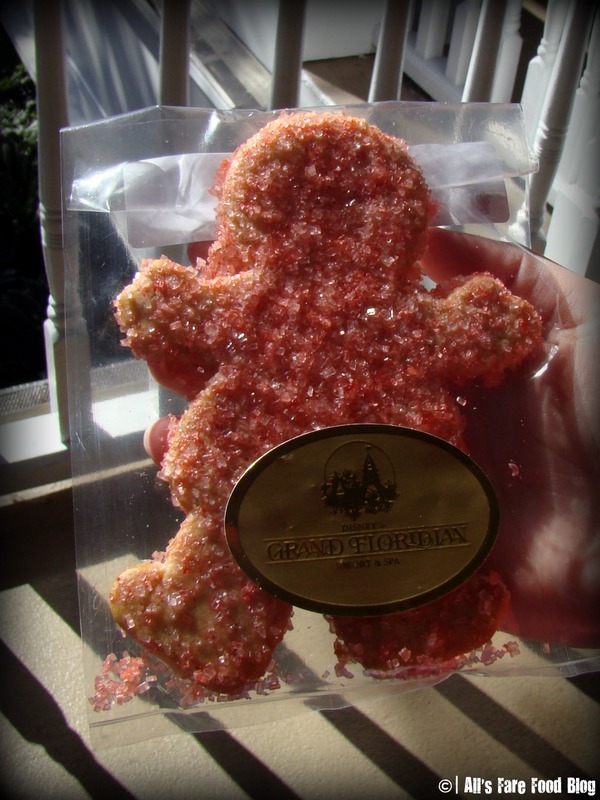 This little sugar cookie guy is covered in red sprinkles. There was also one decked out in green. These little guys are so cute! 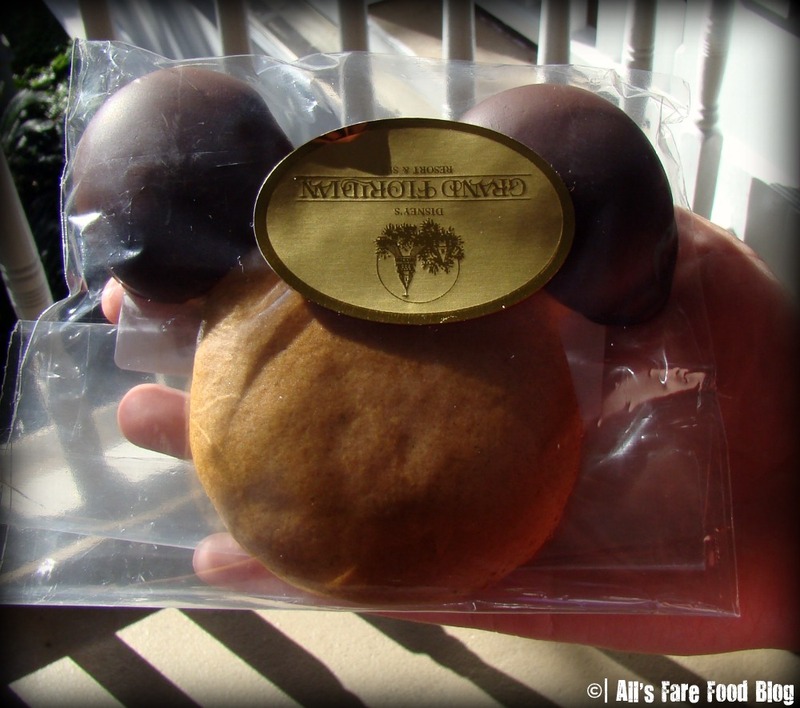 They’re gingerbread Mickey ears that are dipped in chocolate. Take the time to really look at all the detail on the house and you’ll soon see just how purely gorgeous it is! 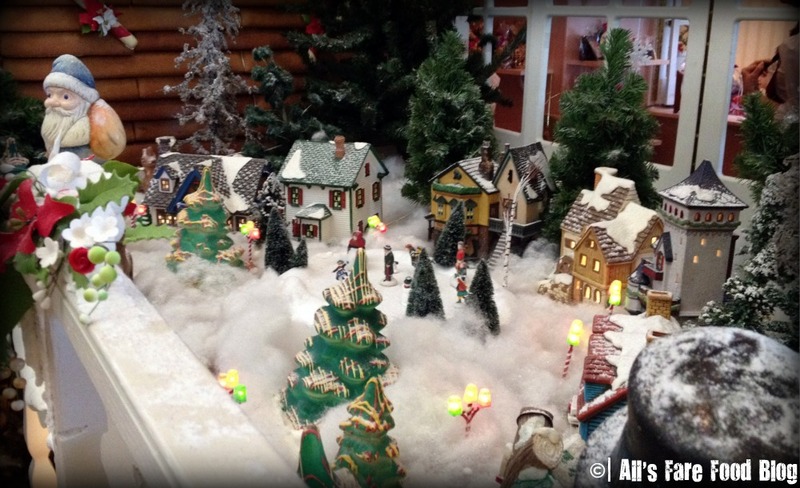 There’s a little Christmas village that reminds me of those by Department 56. Each shingle is made with such uniform care and placed meticulously on the building. 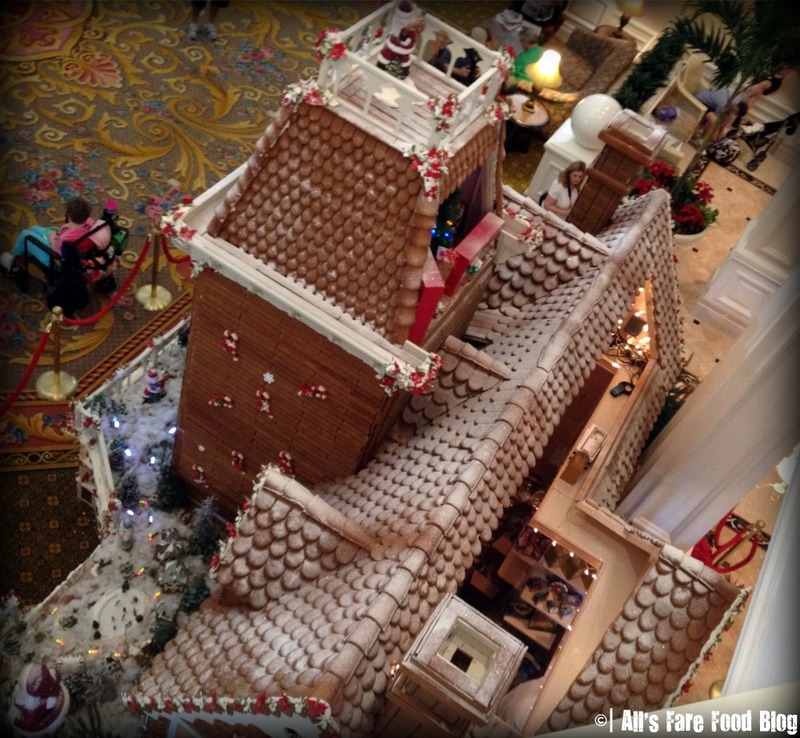 No, this picture isn’t from elsewhere at Grand Floridian. 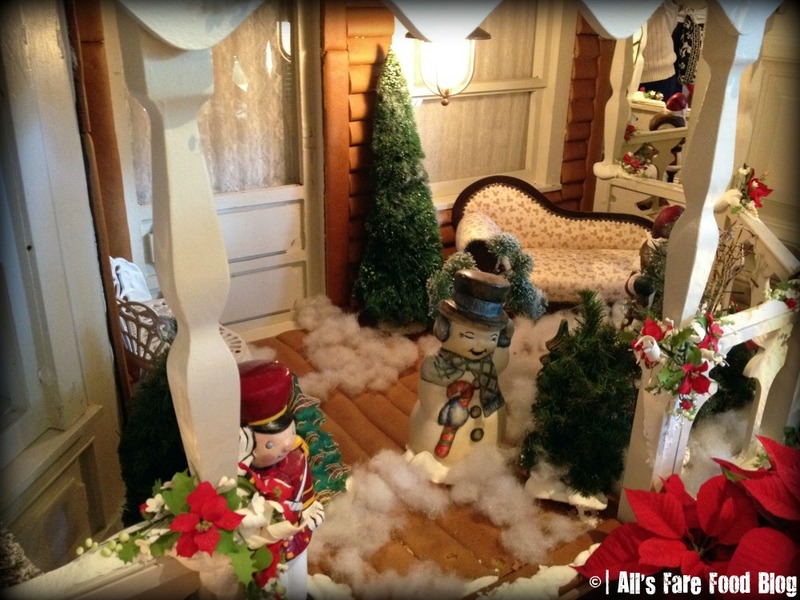 There’s actually so much detail and care taken to the gingerbread house that they have even included furniture on the porch, little snowman and evergreens. This is another angle of the house taken from below where you can see more of the fresh plants that are outside. 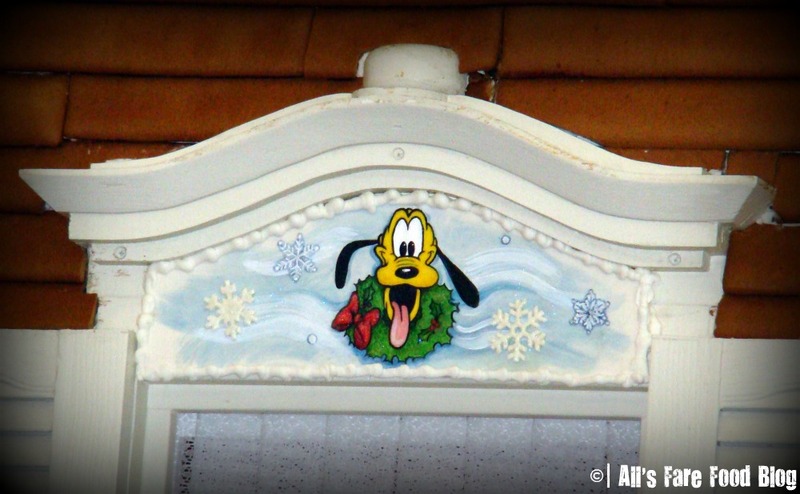 You can find some of Mickey’s friends hiding around the tree – like Pluto, here. 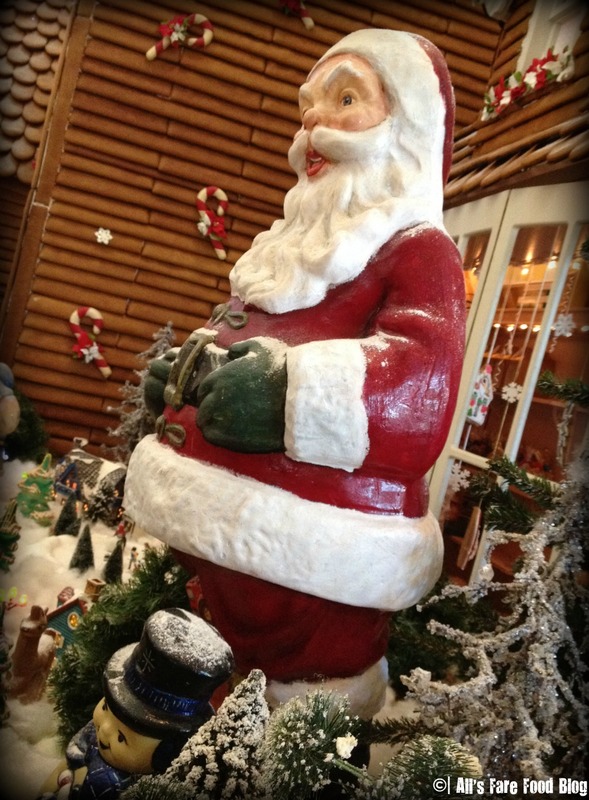 Finally, what magnificent gingerbread house would be complete without Santa? He’s here to wish you a Merry, Merry Christmas! 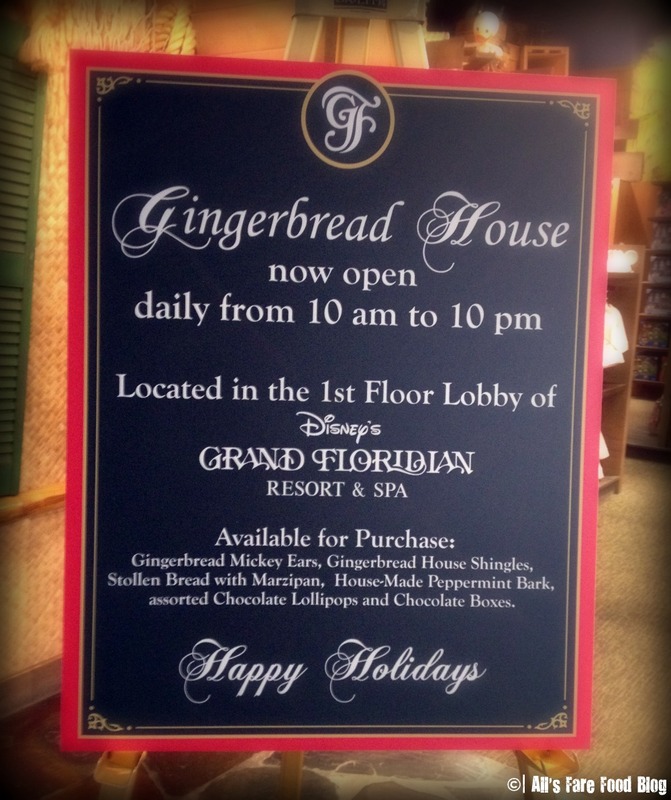 The Grand Floridian gingerbread house is open daily from 10 a.m. to 10 p.m. If you stop by, you can even get a smaller, more manageable recipe for a gingerbread house that you can make at home. It comes with templates for shingles, a house frame, doors and windows. 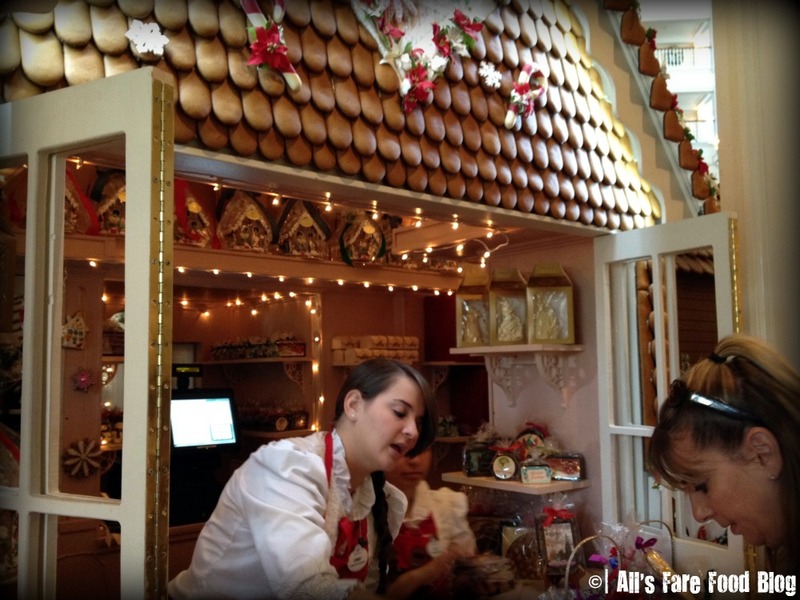 All of the goodies from the store are made by the talented baking staff at the resort. 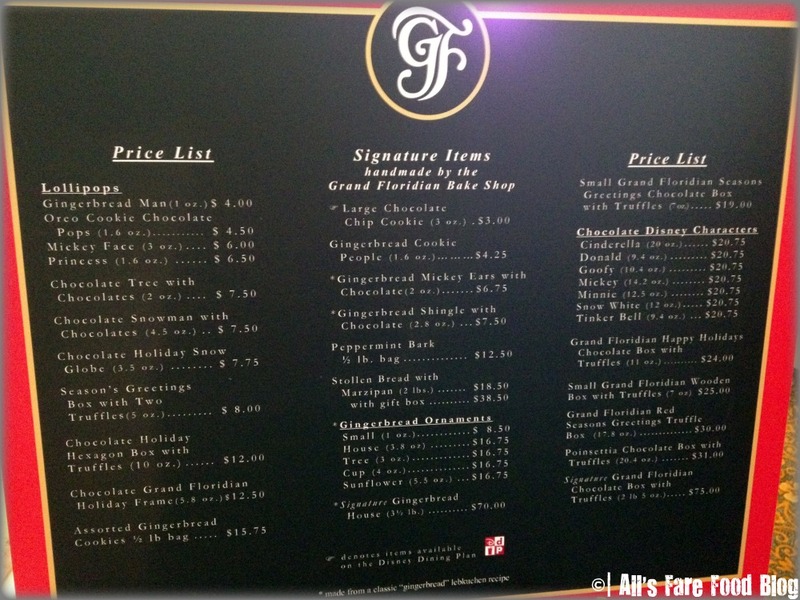 This entry was posted in Cuisine - Desserts, Disney, Disney World, Shopping and tagged Christmas, Disney World, gingerbread house, Grand Floridian, holiday, Mickey Mouse, photos, Pluto, Santa Claus, store by Christina. Bookmark the permalink.